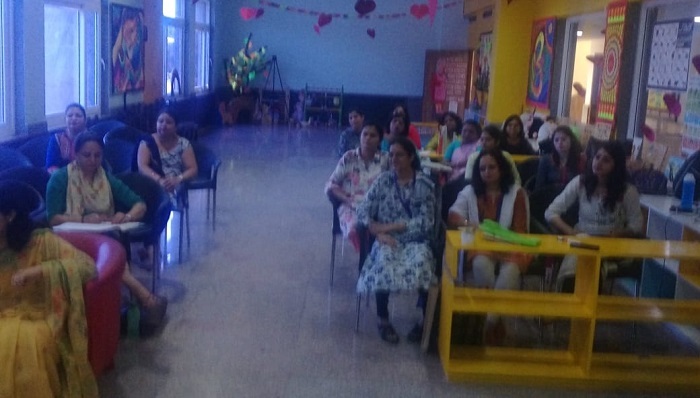 REPORT: “Synthetic Phonics Teaching with JOLLY PHONICS” training in K.R Mangalam World school Greater Noida. 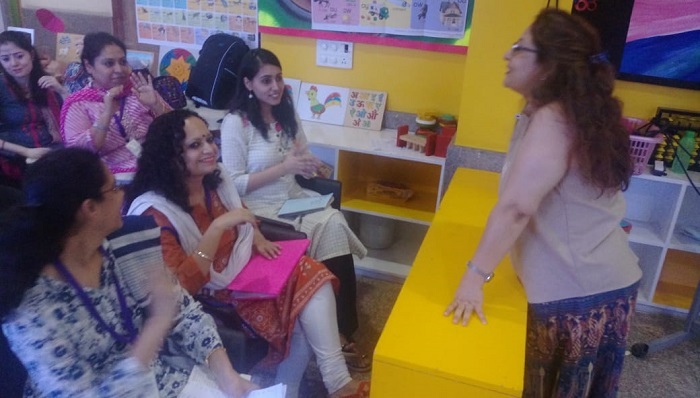 Synthetic Phonics Teaching with Jolly Phonics was a workshop conducted by Ms. Anshu Dua. 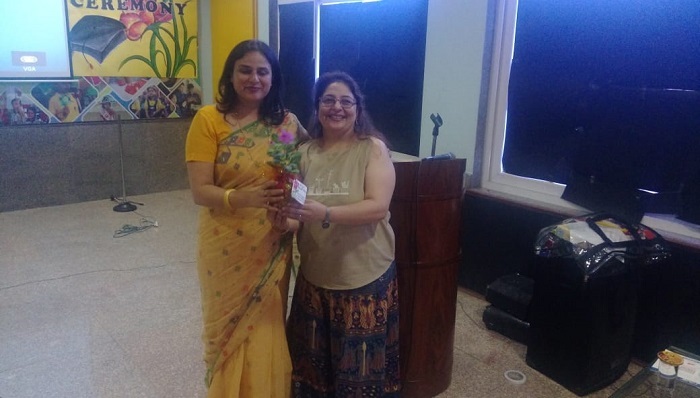 The event began with the welcome speech given by the respected and the dynamic Principal of the school , Ms Pooja Bose. 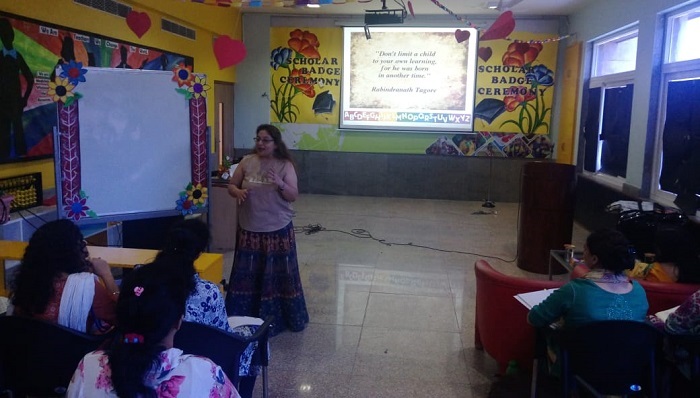 The commitment the trainer displayed in handing down the training distinguished her as a professional who understood and knew what she is doing when it came to training the teachers in Jolly phonics. 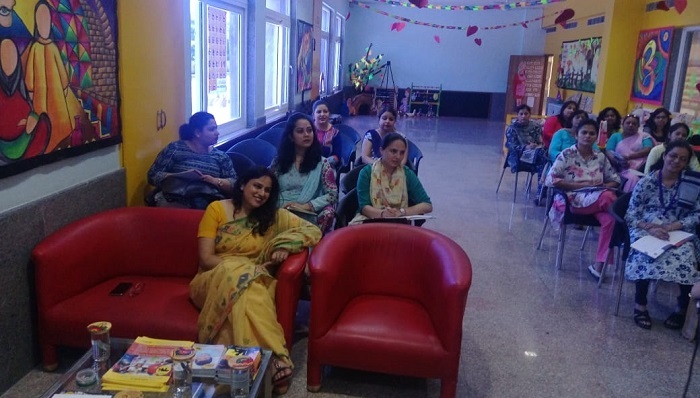 The training was attended by all the teachers of the school including the Pre Primary and the Primary sections as well . The workshop spelled out the importance of Jolly Phonics . Jolly Phonics is a fun and child centered approach to teaching literacy through synthetic phonics. 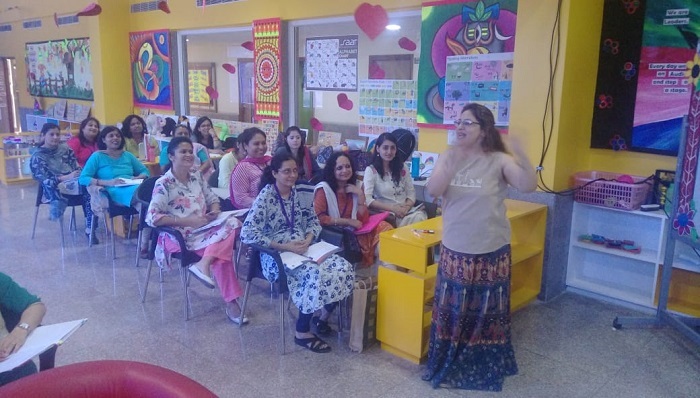 The teachers learnt the actions for each of the 42 letter sounds; the popular multi-sensory method was very motivating for them. The letter sounds were split into seven groups -Letter Sound Order where the sounds were taught in a specific order (not alphabetically). This enabled the teachers to learn the technique of teaching children to begin building words as early as possible. As Jolly Phonics works using a synthetic phonics approach, Jolly Phonics teaches children the five key skills for reading and writing. This training conducted at school imparted the way of teaching essential grammar, spelling and punctuation skills to the students. The five skills taught in Jolly Phonics were -First, learning the letter sounds where the children are taught the 42 main letter sounds. Secondly, learning letter formation using different multi-sensory methods, children learn how to form and write the letters. Thirdly, blending in which the children are taught how to blend the sounds together to read and write new words. Then identifying the sounds in words (Segmenting) that is listening for the sounds in words gives children the best start for improving spelling. 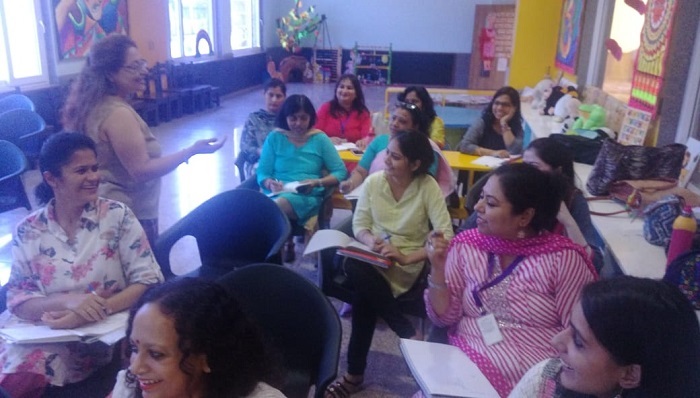 Lastly, the teachers were trained with tricky words which have irregular spellings and children learn these separately. The Letter Sounds were divided into seven groups which were taught to the teachers a number of times to make them well versed with the correct pronunciation of each letter sound. 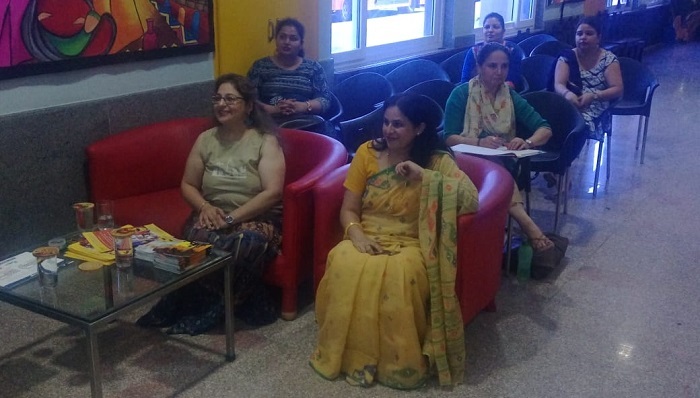 The workshop proved to be beneficial for the staff members as they found it to be a great course with an abundance of ideas for active methodology.